The Rebel Sweetheart. : Spotlight | The Face Shop Lovely ME:EX Design My Eyebrow. Spotlight | The Face Shop Lovely ME:EX Design My Eyebrow. As many of you already know, I have a great obsession with my eyebrows and a penchant for eyebrow products. Today I'll be featuring another eyebrow product from one of my favorite Korean brands, The Face Shop. They've recently opened a branch here in SM San Pablo, making it easier for me to restock on my all-time favorite products such as the Power Perfection BB Cream and Velvet Skin Primer. 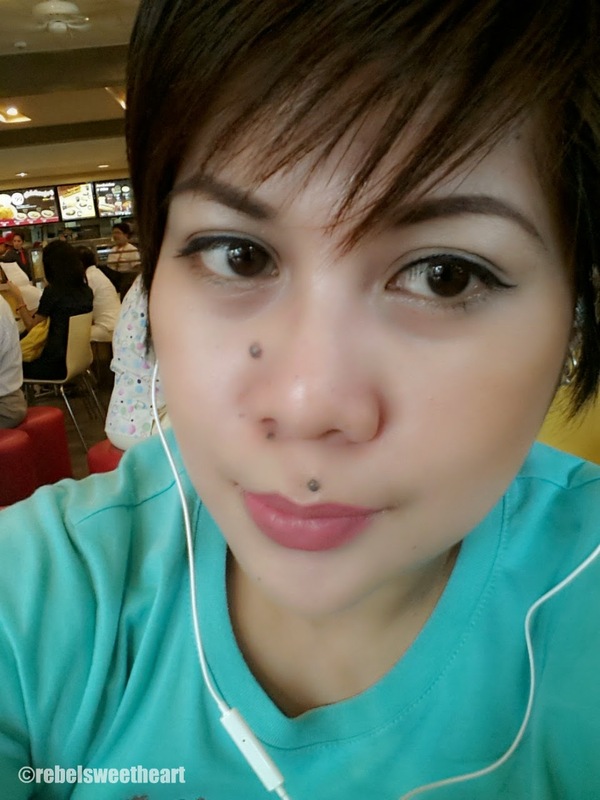 Anyhoo, this is the Lovely ME:Ex Design My Eyebrow, which sells for Php 228 (about $5) a pop. It's an automatic eyebrow pencil that comes in five different shades - Gray Brown, Dark Brown, Black Brown, Brown, and Dark Gray. Mine is the #4 shade, Brown. I reckon it's also the lightest among the five shades. The retractable, slanted tip is perfect for shaping brows and filling it (the eyebrows, I mean) in with color. It has a unique, triangle shape which allows you to create thick lines for the inner eyebrow and thin lines towards the outer part. It also comes with a spoolie, which is an important tool in blending the color and making your brows look natural. The shade comes off light at first, but it's quite buildable. It has great staying power, too as I was able to wear this for about 12 hours with a primer on. Best of all, the shade is a good match for my current hair color. - Unique triangle shape allows you to create precise strokes with varying thickness. - Fills in color evenly. - Five different shades to choose from. - I broke the tip twice! Ugh. Pardon the tired eyes. The Face Shop Lovely ME:EX Design My Eyebrows. 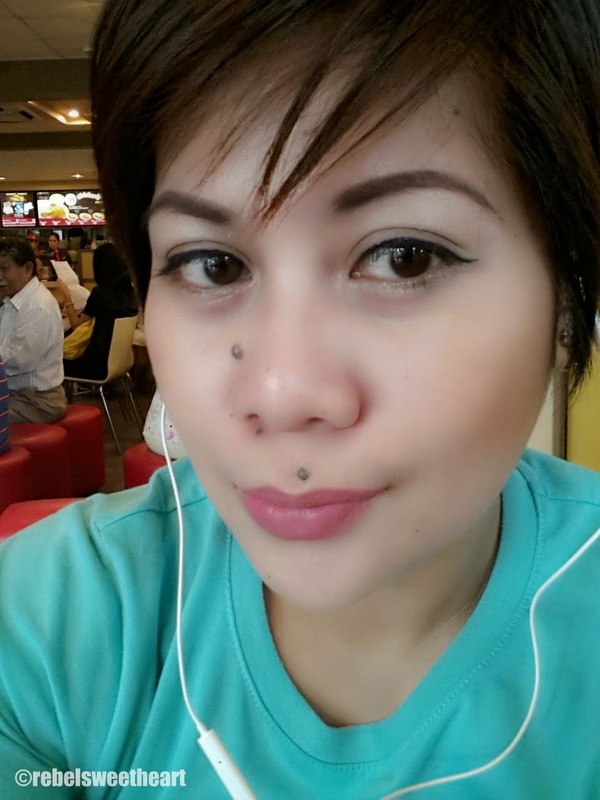 CHEEKS: Human Heart Nature Perfect Glow Mineral Blush. I have the brow of a man so this beauty tool is tailored for me. Must put it on my Christmas wish list. My eyebrows sometimes need a little help--but do they sell this in the US or would I have to go online? You have beautiful brows!! I am always on the look out for new brow pencils, have you tried K palette's 24 hr brow pencil! I like brown shade too, this Design My Eyebrow makes eyebrows so pretty, I will check this one with sis. Your eye brows look amazing! I'd love to try this! Thanks so much for sharing! This one is very similar to EH. I have this in pencil, pa and I super love it as it matches the color of my hair. I think I'll try this when I finished my pencil as it's more convenient to use.